Artisanal loggers in DRC produce an estimated 13 times more output than the industrial timber sector in large-scale forest concessions. Despite controversy, local populations are the main beneficiaries of artisanal logging and milling. Congo Basin - Small-scale logging and milling in the Democratic Republic of Congo (DRC) are not uniformly fraudulent nor unsustainable, new research has found, countering widespread perceptions about the negative impacts of artisanal logging in this central African country. Instead, the three-year study found that a well-regulated artisanal sector could sustain the livelihoods of thousands of rural people while contributing to improved management of DRC’s vast forests. Working with chainsaws and in small groups, artisanal loggers and millers in DRC produce an estimated 3.4 million cubic meters of logs per year —13 times more than the country’s industrial timber sector in large-scale forest concessions. According to the report, the artisanal logging and milling sector in the DRC directly employs 25,000 people and produces more than a million cubic meters of sawn wood. About 85 percent of this wood is sold on domestic markets, while the rest is exported to neighboring countries such as Uganda. Domestic markets in the Congolese capital, Kinshasa, and in the east of the country generate more than USD 100 million a year, reaping profits estimated at USD 25 million. Local populations are the main beneficiaries of artisanal logging and milling, to the tune of about USD 50 million annually, the study found. The Democratic Republic of Congo, with 155 million hectares of forest, is home to two-thirds of the humid forests remaining in tropical Africa. Since about 2000, the Congolese government has introduced several economic, political and institutional reforms intended to improve management of forests and natural resources. But sound policies to ensure sustainable management and exploitation of forest resources require a clear understanding of the way that industrial and artisanal sectors exploit forest resources, particularly as the latter has tended to be largely criminalized and viewed as more destructive than the former, with little evidence to back it up. 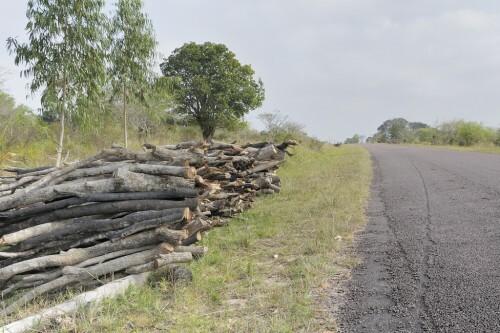 The study monitored wood markets in Kinshasa and Kisangani, about 2,000 kilometers east of the capital, as well as at the main points of passage of wood in those cities and in six others in North Kivu and Orientale provinces. In addition, the researchers visited 22 municipalities, where they interviewed a total of 477 artisanal loggers. They also consulted with about 130 different actors in the logging sector at workshops in four cities. Their findings contradict a common perception that artisanal logging throughout DRC is tainted by massive fraud and the abuse of Artisanal Cutting Permits by industrial enterprises, a misconception that has arisen because of the way permits are issued in Bandundu, one of 10 provinces in the DRC. The artisanal logging and milling sector does not yet appear to threaten the tree species that are harvested, as it focuses on large trees selected among a handful of species, which vary depending on the region in the country. According to the authors, however, conclusions about the long-term sustainability of the sector must be backed up by more research. Findings indicate that around both major productive zones — around Kinshasa and in the eastern part of the country — artisanal logging has been expanding rapidly; in the last two decades the production of artisanally produced wood has doubled. The report lists four areas of action to secure and improve the functioning of the artisanal logging and milling sector in the DRC: (1) improve in the short term the application of the law by working to change behavior of actors in the timber business; (2) offer a range of support to legal artisanal forest users; (3) add value to legally produced national markets; and (4) reform the legal and regulatory framework. From these, the researchers developed 18 political and technical recommendations to improve integration of the artisanal sector into the forest policies of the DRC. The study was published by CIFOR and its partners in DRC, including the University of Kisangani, the Network for the Conservation and Rehabilitation of Forest Ecosystems (CREF Network), and the Organisation Concertée des Ecologistes et Amis de la Nature (OCEAN). 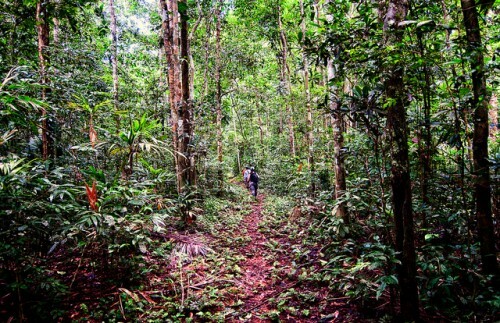 The study in DRC was one of seven conducted by CIFOR in countries of the Congo Basin, including Cameroon, Gabon, the Republic of the Congo and the Central African Republic, as well as in Indonesia in Southeast Asia and Ecuador in South America. All were undertaken as part of the PRO-Formal project (Policy and Regulatory Options to recognize and better integrate the domestic timber sector in tropical countries). For more information about the issues in this article, contact Guillaume Lescuyer at g.lescuyer@cgiar.org. This research forms part of the CGIAR Research Program on Forests, Trees and Agroforestry and is supported by the European Union.